With a steadily increasing pool of applicants and increasing selectiveness for admissions, more students than ever want to be Badgers. According to a New York Times analysis of admissions statistics released Monday, the university admitted 15,126 students, denied 12,200 and wait listed 2,307 out of the 29,653 high school seniors who applied for fall 2013. This 51 percent acceptance rate marks a 3.55 percentage point decline since last year’s admission process. More people want to be part of the Wisconsin community than the freshman class can accommodate, Ken Cutts, UW Office of Admissions spokesperson, said in an email to The Badger Herald. The main challenge of being faced with an increased applicant pool is remembering the university has limited space, according to Adele Brumfield, director of Undergraduate Admissions and Recruitment. She said the university has not changed its reviewing criteria but has become more discerning when reviewing each applicant. 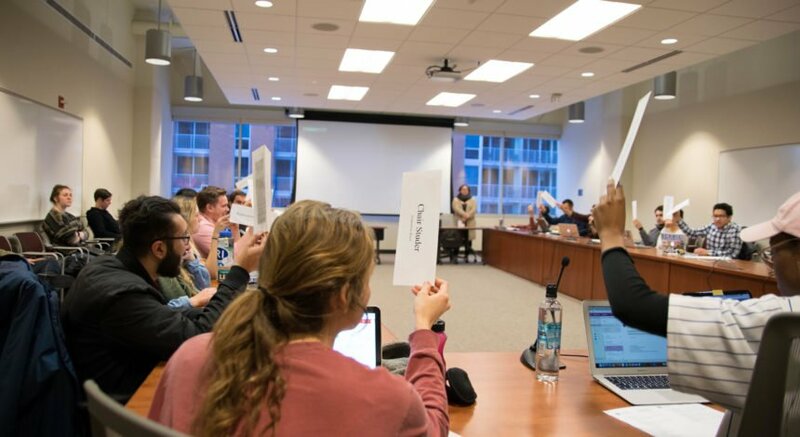 Brumfield emphasized UW’s holistic approach to application review and decision-makers’ efforts to “unpack the whole application,” looking at every facet and taking into consideration whether each potential student is ready to step into the community. She said they especially look for students who have demonstrated their ability to push themselves academically and succeed. The increased applicant pool may be a result of increased efforts to get the word out about UW and the educational experience on campus, Brumfield said, pointing to the “Your UW Day” the university will host this Friday as one example. The event is geared toward those admitted students who are still on the fence about committing to the university, providing both them and their families with answers to questions and showcasing all of the best things on campus, according to Brumfield. “The hope is that when they leave [this event], they’ll want to pursue their education at the University of Wisconsin,” Brumfield said. Brumfield said the university has held similar events in major cities across the country to increase awareness about the university and provide firsthand information in a more accessible way. This year they have expanded to several more cities to incite student enthusiasm throughout the country. Although admissions decisions are finalized, the final number of student enrollment at UW will not be official until fall of 2013, when all students in the freshman class have officially enrolled in courses, Brumfield said. Counselors in the Office of Admissions and Recruitment have worked to get the word out about the Wisconsin Experience with the help of the entire campus community, Cutts said. “Prospective students and their families love hearing about student achievement, alumni successes, how our athletic teams are doing and, of course, our faculty who are renowned for their expertise,” Cutts said. Brumfield said the size of the applicant pool is a supply-and-demand scenario, explaining if the applicant pool continues to grow and the university’s capacity does not, then UW must become more selective. She said she sees this as a testament to its success.